Wine has been a passion of mine for just about as long as I have been allowed to drink it. From the bottles of straw bottomed Chianti and Pere Patriarche Rouge on my grandparent’s dinner table, to a 1986 Premier Cru Gevrey-Chambertin that my pops selected one night at Spark’s Steak house (my ‘epiphany wine’), it has always been a part of my life. The more I sipped, the more curious I became about everything that went into wine and what made it so damn tasty. Once I started working in the biz, I decided I needed to step up my ‘wine geek’ status a notch or two which was when I decided to enroll in the WSET. The Wine and Spirits Education trust is based in England with satellite schools throughout the globe and is one of the most recognized and respected wine education organizations in the world. They offer a variety of programs starting with a basic Level 1 Award in Wines all the way up the wine education ladder to one of the most grueling and intense programs out there, the notorious Level 4 Diploma in Wine and Spirits. I entered the program through the International Wine Center in NYC 7 years ago at the Level 3 Advanced Level. While the Diploma Level gets most of the attention and accolades, the Advanced Exam is not to be discounted as it is a serious test of wine knowledge and blind tasting skill. It consists of a written theory section containing both multiple choice and short essay questions followed by a blind tasting of two wines under stringent time limitations. So after successfully passing the exam, the fateful decision had to be made…. To Diploma or Not To Diploma. With a full time job at Wine Enthusiast and at the time having a 3 and 1 year old at home, I probably should have had my head examined. But having completed a Masters in Elementary Education program in my younger years, and more importantly having this deep rooted passion for wine, I was infinitely intrigued to see what all the hype was behind the Level 4 Diploma. There are 6 units to the program, each with its own exam. In order to complete the program you must pass all 6 within a 3 year time frame, and every one of the tests at this level makes the Advanced test seem like taking an eye exam with a magnifying glass. There are separate Units for Sparkling Wine, Fortified Wine, Spirits, Wine Production, The Business of Wine and the Granddaddy of them all… Unit 3 – Light Wine. ‘Light’ is a complete oxymoron here as this makes up half of the program and is the heaviest of all in terms of information, tasting and time expended. 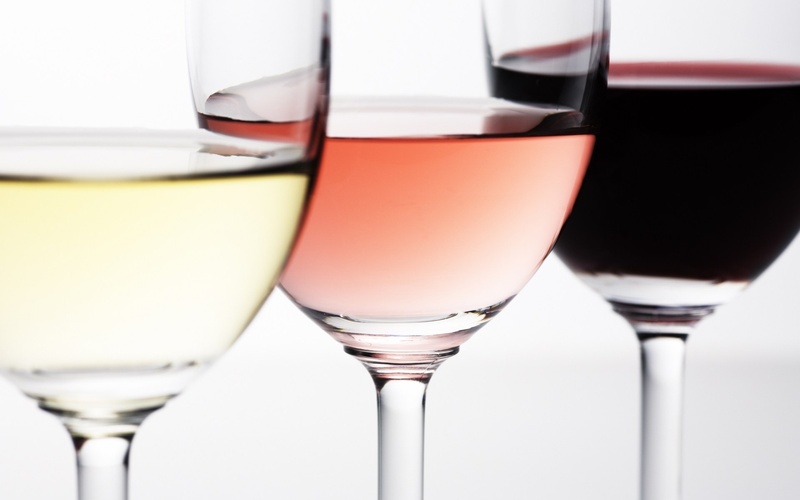 The WSET uses the term Light Wine, but it is synonymous with ‘still wine’, so this section covers every region in the wine producing world and every wine that comes out of those regions…literally. I won’t go into the gory details of what is entailed in terms of studying… but let’s just say that my alarm was set for 4:30 every morning and my home, car and office were all decorated with homemade wine flash cards. Not to mention the inordinate amount of blind tastings (not drinking mind you) that my poor wife had to administer late into the night to train all the senses. So after passing a majority of the other units and heading into my third year of the program, it was time to take on Goliath. Who would have thought there was so much to know about wine?!? How many hectares of vineyards are planted in Valais? 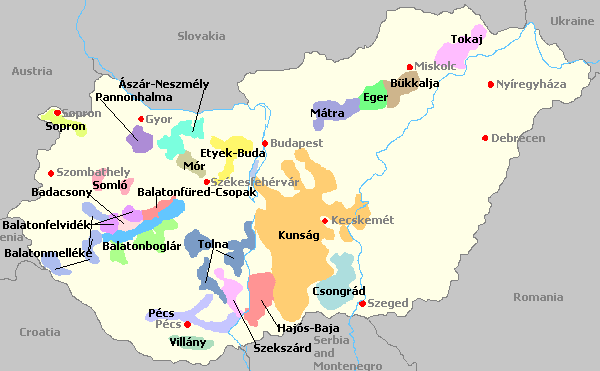 What grapes are used in the Nagy Somlo region of Hungary? At what time did they pick the grapes for the 1973 Chateau Montelena award winning Chard? What was the name of the third child of the Chateau Margaux winemaker in 1982? That sort of thing. 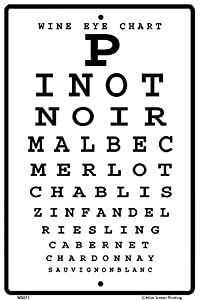 The Unit 3 exam is a 12 wine blind tasting followed by an extensive written section. The WSET’s goal is to see if you are able to identify specific characteristics in wine, connecting them to particular grapes and regions, judging quality and ageability while defining the wine using the their ‘tasting grid’. A major benefit of the WSET model is the credit awarded by properly describing the wine characteristics. So even if you are incorrect in identifying the grape and/or region, if your description grooves with the majority of WSET examiners grading your exam you still have a shot at earning enough marks to pass. After months and months of blind tasting and sleeping with the Oxford Companion to Wine under my pillow praying for some form of osmosis, the day had finally arrived. The first flight was to examine 3 wines all produced from the same grape variety. In front of me sat 3 lemon colored wines with varying intensity, so I started going through the tasting grid trying not to jump to any conclusions (which is easier said than done). I detected grapefruit and some grassy notes on the first wine, so I ignored the grid as clearly these were all Sauvignon Blanc. Luckily, my snap judgement was correct as all 3 wines were indeed produced from Sauvignon Blanc. Of course, you do not find out results until about 3 months after the fact, leaving around 90 days to crucify myself for falling into the most obvious blind tasting pitfall. But the grapefruit don’t lie… most of the time. The next 3 wines all were produced in the same country. As I sniffed the first white wine, a hint of honey emerged over the apple and pear fruit core…obviously Chenin. Having already hastily predetermined the grape variety I moved down the line to the light red wine which emitted pretty aromas of red cherry, strawberry and a black pepper spice, so this had to be Pinot. My brain was racing trying to connect the dots. Chenin runs rampant in the Loire valley and the Pinot had Burgundy written all over it…France it is. The last sample was a sweet style dessert wine with quite a distinctive honeysuckle aroma, but it didn’t have that Sauternes-like character. It must be a late harvest Chenin from Bonnezeaux or somewhere in the Loire. Or could this be one of those trick tasting flights? South Africa produces plenty of Chenin and some Pinot, but this Pinot didn’t have those classic South African earthy undertones, and it felt like a cooler climate style of Chenin… so it simply HAD to be from the Loire. 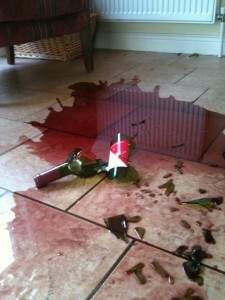 Or, not so much… the first wine wasn’t even Chenin. It was a Kabinett Riesling from GERMANY! Both wines can have apple and pear fruit with a slight honey note as well, which is exactly why you don’t jump to conclusions. The red wine was in fact Pinot, but Spätburgunder would have been more appropriate in this case. And of course, the final wine was not an obscure late harvest Chenin, but an obvious Auslese Riesling. The next flight of 3 needed to be placed in a ‘good, better, best’ order with specific reasons as to why. Moments after the wines were poured the entire room filled up with black fruit, smoke and spice… blatantly Syrah. However there was some clear evidence to back up my impulsive guess as all the wines had dark berry fruit with either sweet spices, smoked meat or olive tapenade. I had them all pegged as Northern Rhone wines, and while they turned out to be fairly high quality Australian Shiraz with some age on them, I felt like I nailed that section which provided a much needed boost of confidence going into the final flight. The final 3 wines for the exam were a random sampling of any wine from anywhere. In front of me stood a white, rosé and red wine looking like Mariano Rivera at the bottom of the 9th ready to take me down. The white had a lovely nose of green apple, white flowers with just a touch of lemon peel. WIth its high, crisp acidity, this one really felt like a dry Riesling. It ended up being a dry, delicate Torrontes (which can carry Riesling character) but I was positive on my call so I was feeling strong heading into the Rosé. 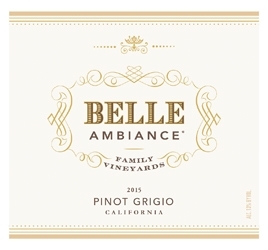 Fresh strawberry and cherry fruit, a little rose petal note and wonderfully bright acidity. I remember thinking to myself: ‘If this isn’t a Cotes de Provence Rosé than I simply have no idea what the hell I am doing’. Luckily, that is exactly what it was. Having believed I was 2 for 2 so far, I was feeling like Bacchus himself going into wine number 3. I got within about 3 inches of the glass and that was all I needed. I tried to fight off those jump to conclusion demons, but how could it be anything else?! 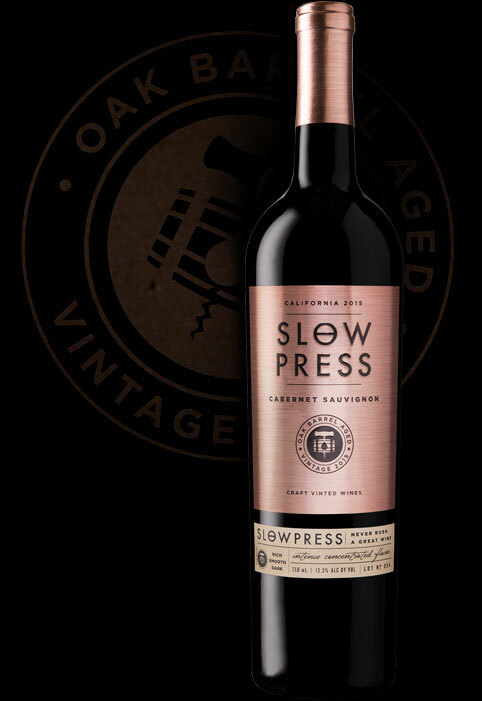 It was deep ruby in color exuding intense aromas of black cherry, cassis, vanilla and hints of eucalyptus with opulent fruit on the palate, high tannins and a long, dry finish. I figured the WSET took pity on us and finished things off with a lay-up… a high quality Napa Cab. But of course, the conclusion-jump once again landed me in the muck. This dead ringer for a Napa Cab was in fact a new world style Gran Reserva Rioja. But, I must have nailed just about every note in this section as I miraculously Passed with Merit on the final 3 wines. With the morning 2.5 hour tasting exam in the books, it was time for the written theory section for the final 3 hours after a much needed lunch break. I would have preferred the order reversed, as all of that tasting (even though you’re spitting) does take a toll on the mind and body. But nonetheless, it was game time. 5 of the possible 7 essay questions had to be answered with a certain amount of marks to earn a pass. I won’t bore you with the details of this section, but let’s just say I am thankful that I committed just about the entire Oxford Companion to Wine to memory, as there were some ridiculously obscure questions on regions, grapes, events and wine styles for sure. And trying to beat the clock for this part of the exam was even more challenging than for the blind tasting. Turns out Tom Petty was right… the only thing more stressful than taking the exam is the three month waiting period to find out the results. After months and months of nail biting, self-crucifying and continued wine tasting in anticipation (without spitting this time), the irrevocable results had finally arrived. I braced myself for the worst and prayed that I passed just one of the two sections. I hesitantly opened up the envelope with my heart racing in full panic mode. I peaked just barely enough to see the results and was elated to learn that I passed BOTH the tasting and written parts of the exam. With a giant fist pump and a roar of ‘Hells Yeah! !’ that could be heard all around my block, it was over. Mission… accomplished. Just like the best athletes in the world are awarded Gold, Silver and Bronze medals at the current Olympics in Rio, the best wines of the world can also receive similar awards at various wine competitions. However with the Olympics, you know that it is the best showcase of talent which is why those medals are so hard to earn and precious to the athletes’ who find themselves victorious. 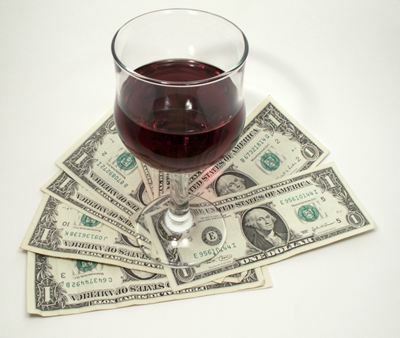 When it comes to wine competitions, it may not always be clear. Of course winning an award of any kind at a wine competition is an accomplishment, but not all wine competitions are created equal. Some are more like the Olympics while others are more like a regional qualifier. For example, it only makes sense that wine competitions held in locations closer to certain world renown wine regions are going to draw a larger number of both higher quality wines as well as top tier judges. The same would go for competitions that are held in meccas of culinary and hospitality establishments such as New York, Los Angeles and London. 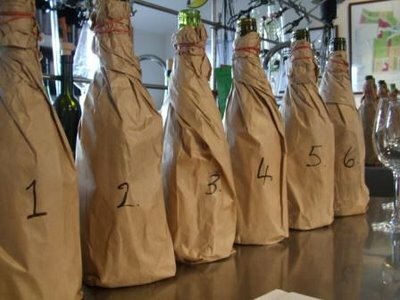 These bigger and more prestigious competitions will also have a more rigid system of evaluation to ensure that there can be no favoritism based on brand or region, and implement a full blind tasting method. They would also make sure that those evaluating the wines were wine professionals who taste wine (to some degree) for a living, and not just collectors or people that simply enjoy wine. 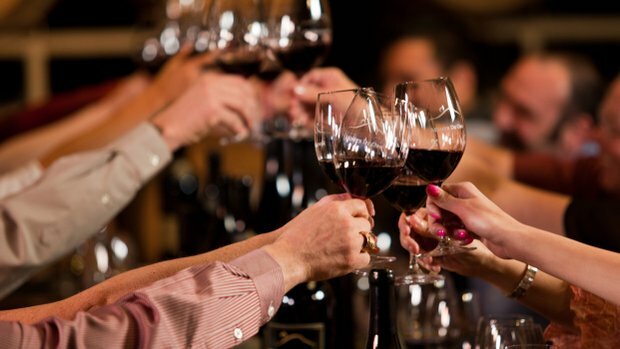 So it only makes sense that it is much more difficult to earn a medal or award from competitions such as the San Francisco Chronicle Wine Competition or the Decanter World Wine Awards than from smaller, more obscure event such as the Arizona Republic Wine Competition or even the Idaho Wine Competition… and yes, those do really exist! So much like finding the right wine reviewer to follow that shares your palate when it comes to ratings and scores, it is also a good idea to check out the specific wine competition in which a particular wine was awarded a medal. It certainly won’t determine whether you will enjoy that specific wine, but it can give you an idea of what other similar wines it had to beat out in order to win that medal.